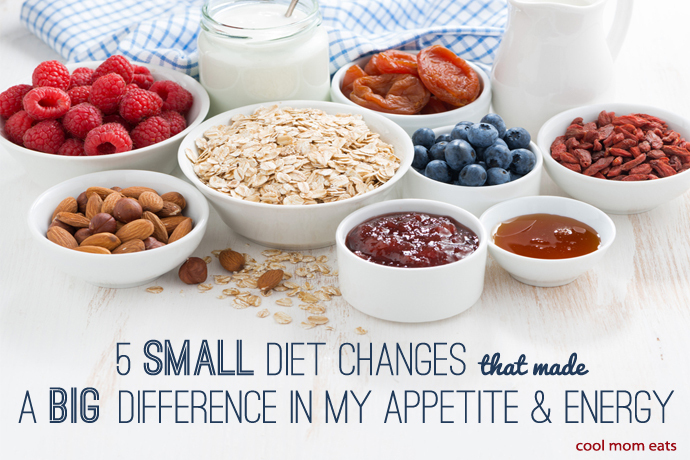 How 5 small diet changes led to huge changes in my appetite and energy. We didn’t have a particularly cold winter here in Brooklyn, but I still managed to eat my way through it as though in hibernation. I feel it—and it shows, too—which is why I recently decided it was time to change my diet. When I’ve made this decision in the past, I’ve jumped into major changes. Juice cleanse! No carbs! A points system! Some have worked for me, but only for a short time before I slipped back into old patterns. So this time, instead of making diet changes driven only by my goal state—to eat healthier and lose weight—I decided to make changes based on the reality of my day-to-day life. 1. 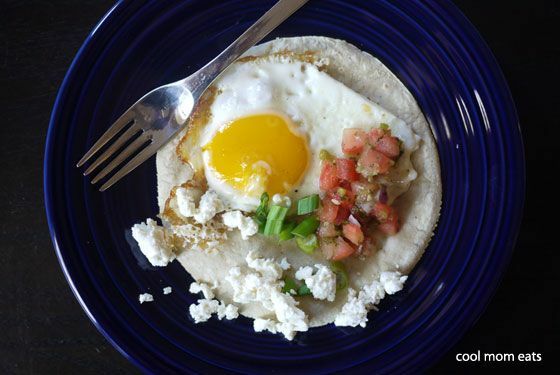 Commit to breakfast within one hour of waking up every day. 3. Start every snack with fruits and/or vegetables. 4. Drop all sugary drinks. 5. Incorporate probiotics into my daily diet. It’s actually kind of amazing that as I’m working on this, along comes our newest sponsor, Activia Fruit Fusion (welcome! ), which provided me with the perfect opportunity to get motivated and really make this happen. I’m super excited that I get to share my experience on Activia’s behalf, with the hope that my own small changes can help a lot of you, too. In fact, I’m pretty amazed at how my five dietary changes played out, and what they’ve meant for my eating habits overall. Diet change 1: Eat breakfast within one hour of waking up every day. I’ve heard that eating within an hour of waking up helps boost your metabolism, so why not give it a try. Anything to rev your engine, right? By the time I’m thinking breakfast, I’m starving, and also far enough into the morning that I feel rushed to get something down quickly so that I can start work. For me, the combination of feeling starved and rushed means that I default to toast, cereal, or some other quick-hit carb, which is not exactly a healthy, complete breakfast. Now, I admit that I really had to force myself to eat within an hour of waking, because like a lot of my friends that I’ve talked to, even the thought of eating right away makes me feel nauseated at times. But, as it turns out, eating right away in combination with my commitment to protein (more on that below) ended up being the most significant of all my diet changes. During my trial week, I started each day with one cup of oatmeal plus either a tablespoon of nut butter swirled in or a yogurt-protein powder smoothie on the side. On the smoothie days, yogurt in combination with protein powder ensured a really big hit of protein. 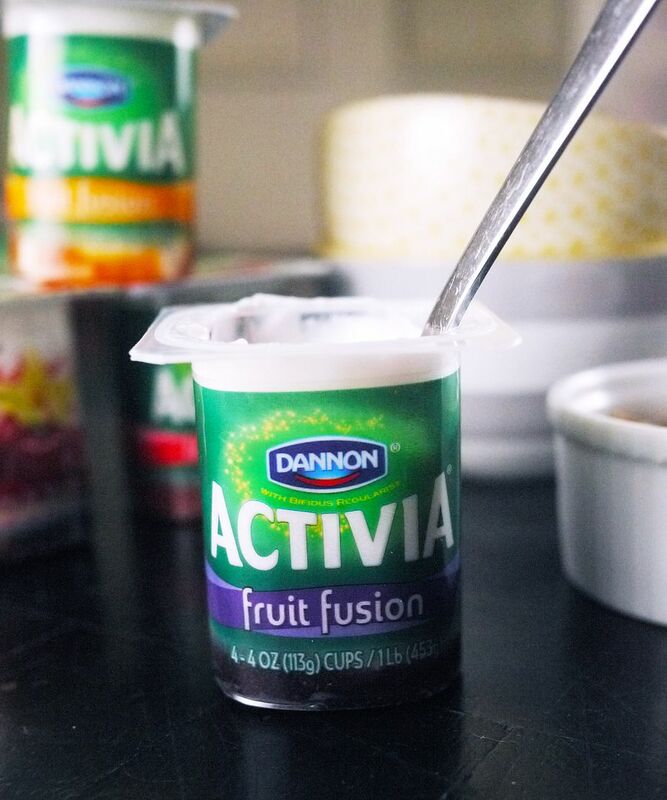 And, pssst, using Activia Fruit Fusion gives you those probiotics and the fruit flavors make it a super fast shortcut. 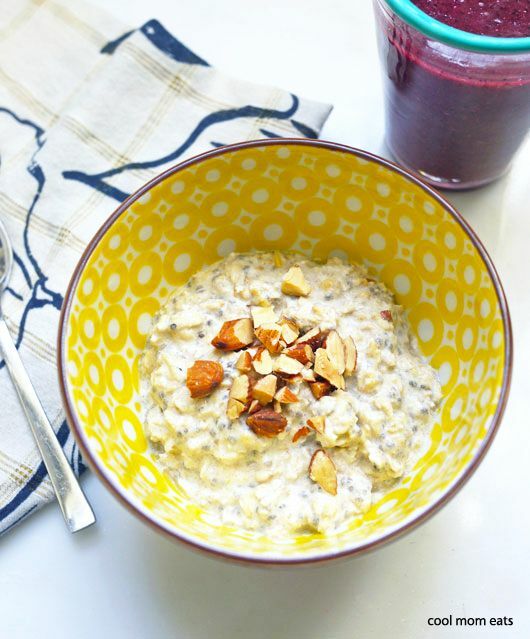 I cannot believe the major difference these two simple oatmeal breakfasts made. The first thing I noticed is that eating right away actually made me eat less the rest of the day. I wasn’t starving and, amazingly enough, that one cup of oatmeal that never quite satisfied at 10 AM turned out to be more than enough at 7:30 AM, I think, in part, because of the protein boosts I added. Even though I was still eating a relatively small breakfast every day, I was full for way longer than when I ate later. I didn’t even need a snack—or to pretend that I wasn’t hungry, ha—between breakfast and lunch. My behavioral change was minor, but the effect it had is major for me, and one that I will definitely keep up. I mean, eating less by starting right? Why didn’t I do this earlier?! Diet Change 2: Eat protein at every meal. Whenever I go into diet mode, I end up eating tons of fruit and veggies and tiny portions of everything else. That may sound good in theory, but I always end up feeling starved by 5 PM. I wondered if eating a hearty dose of protein at every meal would keep me feeling full, helping me to eat less overall. As I already mentioned, this habit made a huge difference at breakfast, though admittedly less so at other meals. That is, until I shifted the kind of protein that I was eating. See, I love cheese and always thought of it as a perfect source of protein, especially at lunch. But in reality, on my diet days, I would also be watching my fat intake. I’d eat such a small amount of cheese that it didn’t add up to much protein at all. The same goes for deli meats: Lean turkey and ham can be great sources of protein, but only in serving sizes greater than I had been eating at lunch. 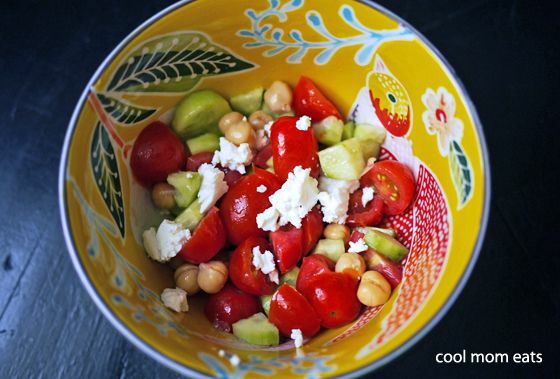 – Combining a small amount of cheese with a whole bunch of chickpeas in a chopped Greek-style salad. – Adding chicken breast or tuna to a salad. – Eating eggs; two of them always felt like they gave me the right balance of protein. I found that all of these filled me up much longer than my previous choices, and kept me from constant snacking between 2 PM and dinner time, when so many of us tend to go astray on our best-laid diet plans. I do have to admit that lunch meals like this require more planning. Without planning, you’re bound to be in trouble. In fact, by day 7, I’d absolutely fallen off at lunch and gobbled an English muffin with veggie cream cheese—and the rest of the afternoon went downhill from there. So at the beginning of next week, I’m going to plan my lunches along with my dinners, and I’ll also look to the supermarket for help. On the top of my list: A rotisserie chicken and market-made tuna salad that I can grab and go. Diet Change 3: Eat fruits and/or vegetables with every snack. Oh, the snacking. Always my downfall. Could I change that if I made sure to start every snack with fruit and/or veggies? My hope was that adding more good fiber would fill me up and, if I wanted more snacks after a big helping or fruits and/or vegetables, I’d be inclined to eat fewer of the kids’ cheddar bunnies. When I initiated this change, the goal was two-fold: To fill myself up with healthy food before diving into the snack foods, and also to get myself eating more fruits and vegetables throughout the day. This strategy totally worked on both fronts. Yay! Since my new breakfasts were keeping me full until lunchtime, I only snacked once a day (around 3 or 4 PM) the whole week. 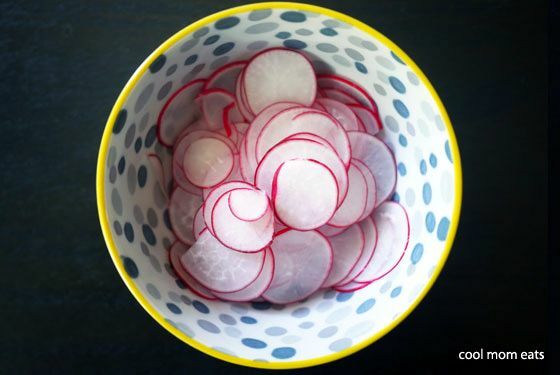 Because of that and the fact that my appetite for snack foods was less ravenous after a hefty dose of produce, I allowed myself a few favorite healthy snack time indulgences—no donuts, basically—without regret. Every day, I felt I could enjoy snacks like a single serving of Activia Fruit Fusion, along with a hunk of dark chocolate or a big old handful of protein-rich granola. Activia, by the way, is a really great choice as far as yogurts go because of its terrific probiotic content, which also helped satisfy my daily probiotic goal (below) without taking supplements. 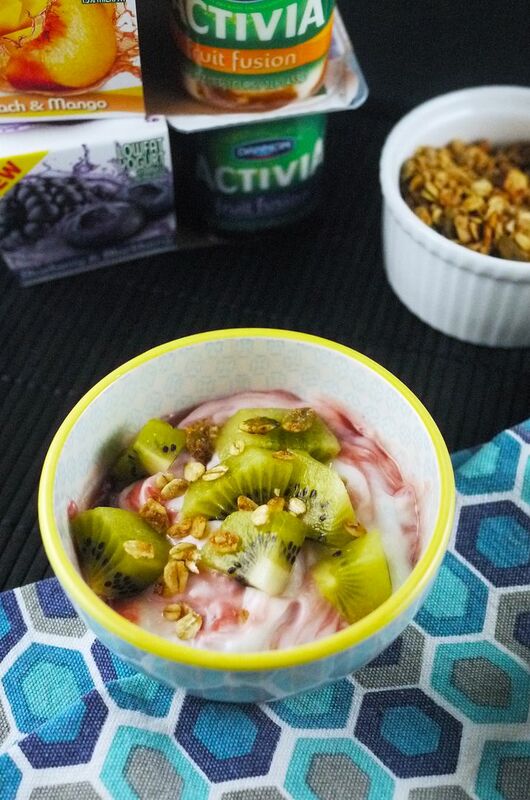 Plus, the new Activia Fruit Fusion yogurts are low in fat and turn out to be totally delicious. The real takeaway for me though, is that when I snack on healthier, more fiber-rich fruits and veggies, I can enjoy slightly more indulgent snacks, too, because I won’t go overboard on them. Diet Change 4: Drop all sugary drinks. This is a big change for many people, which is why I wanted to incorporate this as one of my own diet changes, even though sugary drinks aren’t a major issue for me personally. I tend to stay away from sodas and don’t gravitate to sweet drinks (except maybe on margarita nights, ahem). However, I do have a big issue with drinking enough water overall—and that’s where other people tend to substitute soda, juice, sweetened iced tea, or lemonade. Instead, I tend to drink nothing (I know, terrible, right?) leaving me dehydrated on a regular basis. I knew it was crucial to address this, especially to maintain my energy and overall health. Confession: This was the one change to my diet that was a flop for me. Though I was able to drop the one small glass of juice that I drink each day, I did not increase my water intake significantly. In fact, it was pretty dismal—and I think I know why: This was the only change for which I did not prepare. I just figured, okay, I’ll focus on drinking more water! But I didn’t get a new reusable water bottle to carry around with me, I didn’t create any new habits in terms of keeping a water bottle or full pitcher of water at my desk, I didn’t use any apps to track my water intake. I simply expected to change my habits just because—and failed at that. I know that drinking more water can increase energy, flush out toxins, and even lower overall calorie intake. So now I have a plan. 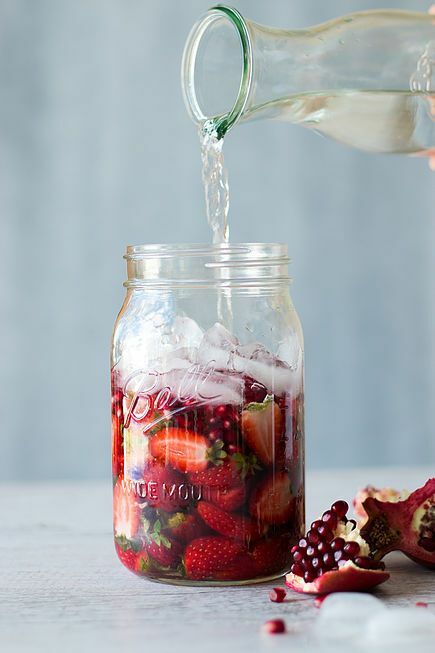 It’s funny because I make infused waters like the Pomegranate and Strawberry Infused Coconut Water at Going Coconuts (above) for the kids all summer long. It’s as if my brain hasn’t adjusted to seeing them as something that I can drink, too, and all year around. So I’m bookmarking more recipes and ordering a nifty water bottle with an infuser to keep at my desk as a constant reminder to drink more frequently. I really think that the fruit flavor will make drinking water a little bit more appealing. Diet change 5: Add probiotics to my daily diet. I’ve always been a believer in probiotics for overall gut health, but have never been consistent about taking them as supplements. I wanted to see what would happen if I stayed the course, making sure to get a healthy dose of probiotics everyday, without fail. I have always loved yogurt, but as someone who has tried dieting using a point system (yeah, you know what I’m talking about), my choice of yogurts has been limited. This time, I let go of points and chose to stock my fridge with yogurt based on taste (yay! ), provided my choice fit with my 5 planned changes. 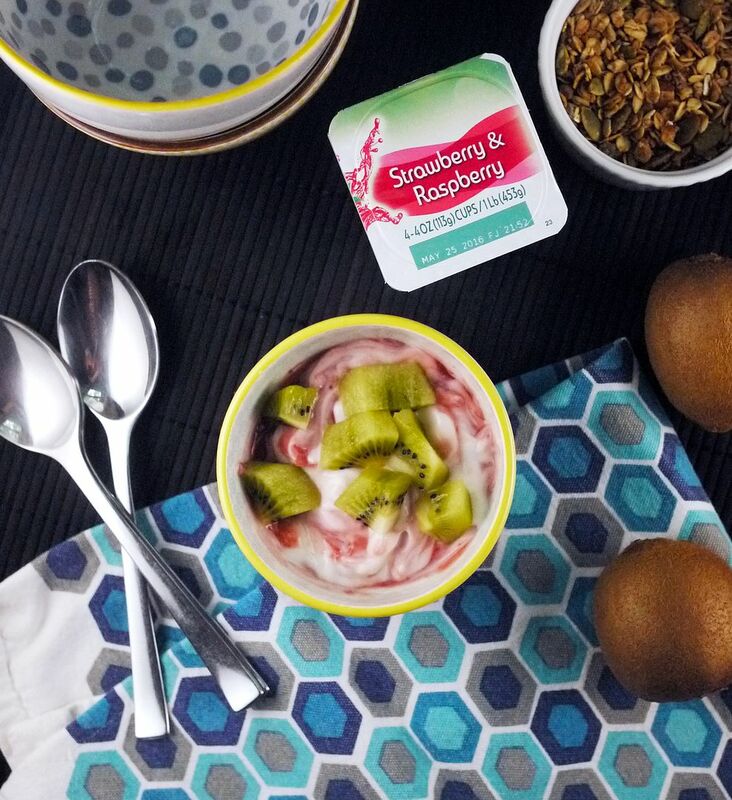 Because of my focus on probiotics, Activia Fruit Fusion was an easy choice at snack time. 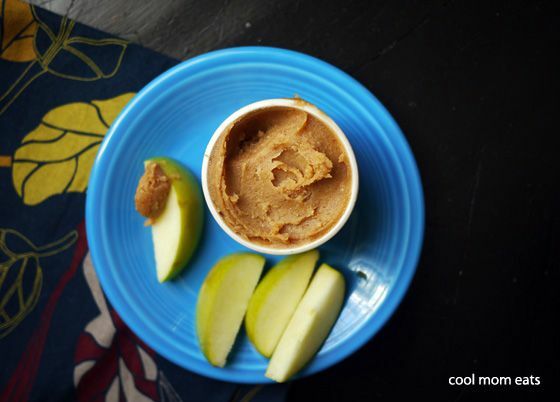 It’s low-fat (no trans-fats) and has a respectable 4 grams of protein in that small serving. Plus it’s already portioned out, so it’s easy for me to grab at home or, if I’m running out to pick up the kids, eat on the go. I found the Activia Fruit Fusion flavors to be super tasty with combinations like Peach Mango, Cherry Vanilla, Blueberry Blackberry, and Strawberry Raspberry, and it’s nice to get to try out samples from a brand sponsor that will absolutely end up in my grocery cart going forward. In fact I imagine all four flavors will probably be a staple in our fridge from now on, so yay for that. As I understand it, probiotics are a long term investment in your digestive health, so I can’t honestly report on any real changes after taking them consistently for just a week. But I will tell you this: I’m committed to them, and knowing that I can blend probiotic intake with snacking makes me more likely to stick with it than if I were relying on supplements alone. I have to say that I’m pretty amazed that just a few small changes have led me to eat less food overall without feeling nearly as hungry or restricted as I have when I’ve tried more rigid diets or counted points. Now to be sure, this is not a diet; in fact, so-far I’ve only lost a half-pound. I suspect a lot of that has to do with not exercising at all this week, much beyond walking. I will probably also cut back on some of the carbs, and be sure I’m sticking with healthier fats like nut butter and avocado. As a result, weight loss might come slower, but my overall health, energy, and wellbeing will improve and that was really the goal of this exercise. So while yes, I’d love to be bathing suit ready in a month, I’m so glad to discover that there are small, manageable diet changes that can help keep me feeling satisfied, which in the long run is more sustainable for me. Plus, overall, I’m definitely eating way healthier in the form of more fruits, more veggies, and lean protein. Given how busy I am these days as a full-time working parent, I’m feeling good about making a commitment to my health and energy first—and then patiently (or patiently as I can) waiting for the weight to fall off. In other words, these changes: They’re to stay. Check back with me in in a month. I’ll let you know how it’s going! If you have any questions, comments, suggestions, I’d love to hear them in the comments. And thanks so so much to our sponsor Activia Fruit Fusion for making it easier for busy, on-the-go parents to have a healthy snack they actually enjoy. This post was sponsored by Activia. Explore all of Activia’s delicious fruit fusion flavors at Activia.com! This is great! When I started my weight loss journey I thought I was eating right. Then I started tracking on My Fitness Pal. My husband said I wasn’t eating enough. I started eating more and added protein and that along with my workouts helped drop a ton of weight. Thank you for sharing your journey. Isn’t amazing how that works?! Thanks for sharing your story, too, Tracy. And yay protein—ha! THANK YOU for this post – couldn’t be better timing for me. I’ve finally gotten into regular running, which is a miracle on its own, but I still eat terribly. I know I’m not ready for a major diet overhaul, and I genuinely don’t have the time for meal preps that have worked for me in the past. I’m going to try these much more reasonable steps for now. Ashley, this couldn’t make me happier. I really hope that these small changes help you, as they have me. Honestly, I haven’t kept them all up consistently—and you know, then the weight doesn’t fall off—BUT because they are manageable, I’ve been able to keep returning to them. As opposed to when I’ve dieted: Then, when I fall of the wagon, so to speak, I’m like, oh well, might as well pig out and give up since I already messed up. These changes feel so much more reasonable and I keep returning to them. As a result, I’m certainly not gaining weight! If I at least stop yo-yo’ing, that will be a major change for me. And my energy is always so much better on days when I do well, which reinforces the habits. Slowly but surely!